So… if you have any questions or comments about this lesson, here’s the place for them! Can someone share a link to the OpenAI research he mentioned in the video - Regarding supervised classification with 50 examples and ensembles on MNIST with 1.4% error rate? I wasn’t able to find it. It would be of great help if someone could do so. Edit : Found it - Improved Techniques for Training GANs. Putting it here just in case anyone else is also looking for it. Just want to say I really like lesson 0! I deleted my question because the second half of Lesson 3 answered all of them. Where can we get the Notebook shown in the video? Does anyone know where that convolution tutorial with a guys face he showed in the web browser for a second is? i‘ve a question for the “train.npz”file in con-intro.ipynb ,how can I get it. thanks! @jeremy The really question is that where can we download “MNIST_data” which input by “convolution-intro.ipynb”? I have been successfully working through the course for a while… was using AWS instance last night to visualize some of the filter activations and try out batch norm for the first time. However, all of a sudden (this morning), jupyter seems to have disappeared… this is the error message I’m getting in my terminal, and neither conda nor jupyter are recognized as commands. Any idea what might have happened or how to fix it? As you can see, this gets the data from Tensorflow. You can also use Keras to get the data. The notebook used in the video is available here. 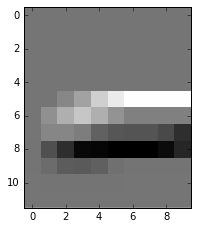 The MNIST image data can is available here. I googled the error but have been unsuccessful and am unsure about how to proceed. Does anyone know what I’m missing here? I’m new to aws and also bash so I apologize if this is a relatively elementary question. Not sure what I’m doing wrong. I’ve had to modify the notebook a bit, because the MNist set was coming in as 60000,1,28,28. I am using Jupyter Notebook that is a part of Anaconda and the matplotlib version is 1.4.1. Also, animation ani is not executed at the end. Any idea about how I should fix the problems? I found the “lesson 0” notebook on GitHub where all the other fast.ai course notebooks are. @SpaceCowboy850 I had similar problem. In the set you get 60000 images, so you need to delete the first 5000 to adjust it to the shape/size Jeremy works with. 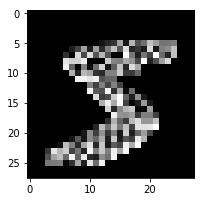 Another point is that the pixel values in the Keras-downloaded set are coded as integers between 0 and 255. Pixels in Jeremy’s data set are all floats between 0.0 and 1.0. This is what I believe is causing your image to be all spotty rather than seeing smooth transitions. To adjust to format Jeremy uses you can divide the data by 255 to convert the values from 0 - 255 to 0.0 – 1.0.